Draft legislation for a Welsh circus ban has received overwhelming support from respondents to the consultation. A huge thank you to those who joined ADI in taking part. 97% support legislation to make it an offence for a wild animal to be used in a travelling circus. 97% agree that a ban would have a positive impact on attitudes of children and young people towards animals. More than 6,500 individuals/organisations took part. In its summary of responses the Welsh government states: “A ban will send a clear message that the people of Wales believe this practice to be an outdated notion and ethically unacceptable”. We now look forward to the day when the suffering stops, in Wales and across the UK. After announcing in July 2018 that it will ban the use of wild animals in circuses, the Welsh Government is now seeking YOUR views on the draft law. Introducing its public consultation – which ends on Wednesday 28 November 2018 – Cabinet Secretary for Energy, Planning and Rural Affairs Lesley Griffiths said she is “particularly interested in the views of children and young people” on the proposals. Please have your say today to ensure the ban is passed and without delay to stop circus suffering in Wales. You can respond online, by email or post through the Welsh Government website here. Please see below suggested wording to answer the most significant questions, which can be copied and pasted into your response. Question 1: Do you agree with our proposal to introduce legislation that would make it an offence for a wild animal to be used in a travelling circus? Suggested answer: Yes, I wholeheartedly agree that the use of wild animals in travelling circuses should be banned. 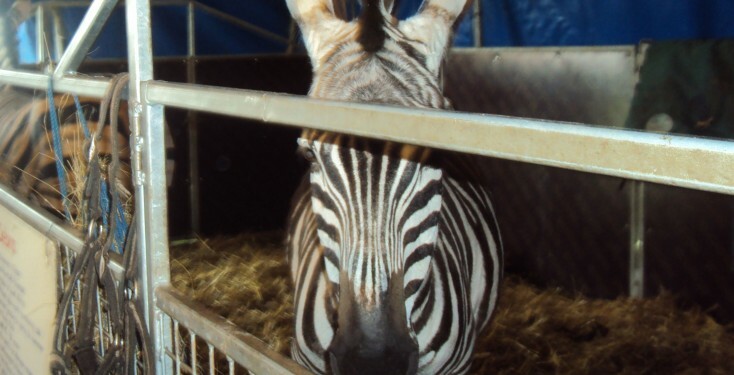 Travelling circuses cannot provide, as evidence shows, wild animals with the environment they need to maintain mental and physical health and welfare. Their very nature means animals live in temporary enclosures and spend much of their time shut in transporters. Prevented from performing their most natural behaviours, animals are dominated and controlled by their handlers. Question 2: Do you agree banning the use of wild animals in travelling circuses will have a positive impact on the attitudes of children and young people towards animals? Do you have any evidence to support your view that you would like to share with us? Suggested answer: Yes, I agree that banning the use of wild animals in travelling circuses will have a positive impact on the attitudes of children and young people, and indeed across all age groups. Seeing wild animals so detached from their natural environment and on display has a negative effect on the development of respectful and responsible attitudes towards animals. These acts serve no educational purpose and instead of teaching appreciation for the species we share our planet with, the opposite is true, audiences shown a caricature with animals forced to perform increasingly bizarre and unnatural acts they would naturally resist. Question 8: Do you agree with the inclusion of section 3(3) which would allow for regulations to be made to specify kinds of animal that are, or are not, to be regarded as wild? Regulations would be made by Welsh Ministers (see section 7 of the draft Bill). Suggested answer: No, the addition of section 3(3) is unnecessary, the definition and description of “wild animal” itself clear and widely understood. Question 14: We have asked a number of specific questions. Please tell us about any related issues which we have not specifically addressed. Suggested answer: To improve and clarify the wording of Section 1 (2)(b), the words “displayed or” should be added. This will ensure wild animals positioned in such a way to be on show to the public (but who are not specifically “exhibited”) are covered under the Act. A ban on the use of wild animals in travelling circuses is overwhelmingly backed by the public, experts, Assembly Members, political parties, and is in line with the commitment made by the Welsh Government to ban such acts. With national restrictions on animal circus acts enacted in over 40 countries, and bans on the use of wild animals already adopted in both Scotland and Ireland, I hope the Welsh Government will introduce its promised ban at the earliest opportunity.